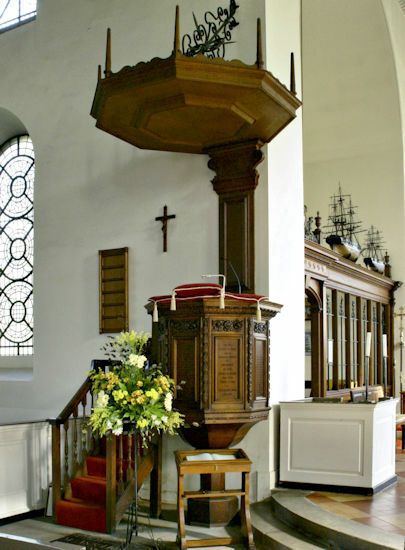 The pulpit is the WW1 parish memorial. Made from English oak it was unveiled in 1921. The tester or sounding-board is the parish memorial to those who died in WW2 and was unveiled in 1953.